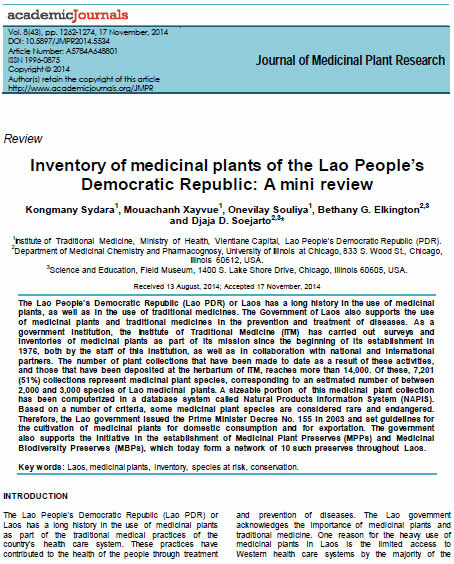 In this paper, we present a brief review on the results of the effort and the current status in the inventory of medicinal plants of Laos by the Institute of Traditional Medicine since its establishment in 1976. We have examined the activities carried out by the staff of ITM and its collaboration with other national and international partners, including non-governmental organizations. Issues on the commercialization, export and protection of rare medicinal plant species of Laos are also discussed.